Our partners in advertising offer a range of quality products and services, to assist you and your baby from pregnancy and beyond! It can be daunting to think of renovating your entire home, but little refreshes can have a powerful impact and are ultra affordable. Curtains can transform a room, as can simple decoration such as a rug, throw or new cushions. 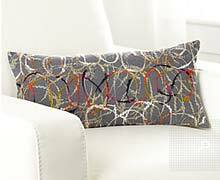 We love the Jackson Pollock inspired Doodle cushions from Simons (seen here)­–just $10 each! If it’s your bedroom that’s in need of a refresh, try a new comforter. It’s a great way to show off your personality. Montreal is an amazing city to visit with your family. 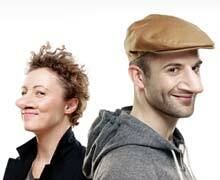 It's loaded in history, architectural finds and is extremely easy to navigate on foot–especially Old Montreal. Plus, your kids will love the Biodome (our kids couldn't get enough of the bat cave), the Science Centre (They currently have a Star Wars exhibition), or just taking in a movie (for some reason movies are cheaper in Quebec than anywhere else in Canada). As an added bonus, Montreal offers a great variety of affordable accomodation. 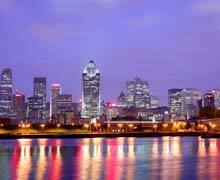 We love Montreal Hotels to help you find the best affordable montreal hotels. You can search by hotel type, neighbourhood, ratings and amenities. Plus a "Sweet Deal" option lets you scout the best deals out there. Lucky for us, Simons has a huge selection of affordable women’s clothing too. We love the Chic Retro Blouse (and it’s only $20!). Even a coat need not be a huge investment piece. 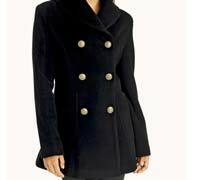 The new Twik Metal Button Sailor coat (seen here) is just $140! Now there's no excuse not to treat yourself to a little back to school fun! Moms have no time to shop around for the best insurance prices. Merlin Assurance does the work for you. Just log in and they will search for the best home and auto insurance prices for Quebec residents and deliver the three top quotes in just five minutes. Snappies make breast-milk collection, storage and feeding easy. Designed to work with most popular breast pumps, these sterile containers are airtight and leak-proof, so milk can be stored safely and conveniently in the refrigerator or freezer. Babies can be fed right from the Snappies container, eliminating the fuss of bags and bottles with one simple solution. Visit http://www.snappiescontainers.com/ for more information or to order yours today.